Are you seeking to use your subject knowledge and teaching skills beyond the classroom? Many teachers don’t recognise the vast range of skills, expertise and experience they possess. Transferring your Teaching Skills into the Wider World will help you focus on how you can use your many transferable skills in a variety of contexts and settings across the educational sector and beyond. The case studies are inspiring examples of individuals who have drawn on their teaching experiences to expand into other areas, describing the route they took and showing how they utilized their teaching expertise. Tips and hints show how you can follow a similar path. 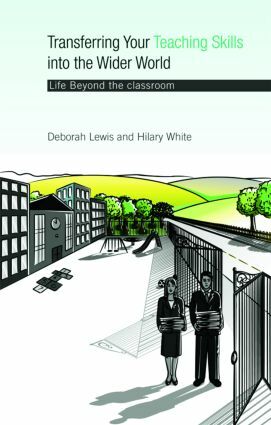 Transferring your Teaching Skills into the Wider World is essential reading for any teacher looking for guidance on how to change or develop their career whilst making the most of their existing skills and experience.